Discover how this concept has evolved, what has changed, and the analysis behind why it is necessary to move learning into the workflow for today's learners. As we start a new year we have reviewed the concepts we will be inundated with during 2019. 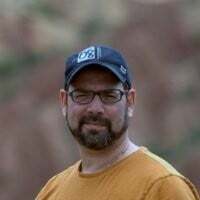 One of the concepts that excite us here at AllenComm is “learning in the workflow.“ The concept is not new, many luminaries in our industry such as Gloria Geri, Conrad Gottfredson, and others have worked in the area of electronic performance support systems (EPSS) as early as the 1990s . Early implementations in this area failed to reach to the scale and impact that many pioneers in this field predicted. 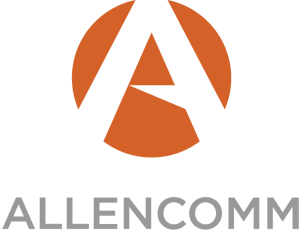 At AllenComm we believe changes in how Learning and Development departments are structured, and the reallocation of the budget will finally bring real-time contextual learning to the forefront of corporate training. We are at the cusp of a growing role for L&D across large and complex organizations. Perform a Google search with the words “learning in the workflow“ and you’ll find a plethora of articles and papers written since the early 90s. Has much changed from 20 years ago? Recent articles by Josh Bersin  and Bob Mosher  have invigorated our discussion around electronic performance support. We believe we have reached a tipping point in relation to moving learning into the real-time context of our learners’ jobs. It has long been our observation that learning and development tend to lag behind other departments in the corporate space. Some of our own research shows that well-documented L&D trends often follow the marketing world. Changes in our market mostly around political, economic, socio-cultural, and technical advances  are making learning in the workflow a reality for our customers. The political environment over the past decade, as well as the results of major elections around work, has shed a strong light on the need for employee retraining . Governmental and corporate organizations will not be able to scale by using long linear web-based training programs. The need for greater scale and greater speed of adoption will drive more learning into the workflow. Compliance-based regulation has grown, making content accessed in the workflow more important. Compliance oversights will continue to drive budgets to formal learning organizations, which will, in turn, drive more of our designs into real-time contextual formats. Corporate mergers and acquisitions are on the rise and global consolidation of products and services continues . L&D within companies has been diversified across marketing, IT, and supply chain functions. Time and place for traditional training models are being funded differently as operational units are challenged to react faster to organizational needs. Within our specific market, the growth in off-the-shelf content and accessibility to content has created new monetization models for vendors and broader choices of microlearning for corporate training departments. L&D departments have more choice of assets that can be pushed into the workflow. Much has been written on the new generation of learners that want the immediacy of support. While we do not believe learning styles have radically changed , we must accept that all learners have better access to content we can and cannot control. Our learners have become accustomed to immediate access to information and any formal learning we provide in the workplace is being dwarfed next to the body of content available 24-7 in the workplace. Not only do our learners have more access to information, but we as learning departments also have more access to the learners themselves. A whole new generation of L&D professionals are themselves by-products of the use of short, readily accessible content in the workflow. For learning in the workflow, this is no different. In many ways, it is part of the sociological and economic factors we have already outlined. Curating content, creating smaller and smaller nuggets of content, and granting access across desktop and mobile platforms have become ubiquitous. Yet, while technology is a necessary condition for innovation it’s not sufficient for a shift to happen in L&D. We believe that over the next few years more and more learning budgets will be co-oped by marketing and operational technologies that can combine learning in the workplace with operational tasks in real time. Change in L&D will come about through technological innovation in other parts of the organization. A smarter learning platform, founded on partnership, focused on performance. Every feature is configured to your needs. The UX absorbs your brand for a seamless experience. The delivery strategy targets your users where it counts most.